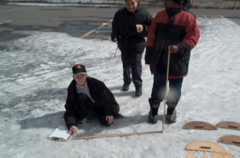 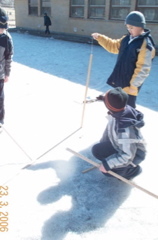 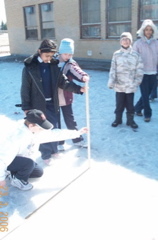 Please find included photos showing the Grade 5 students at St.Monica school in Montreal, Quebec, Canada doing their measurements in the recess yard on a fine winter spring at temperature around 0 degree Celsius, on March 22 and 23, 2006. 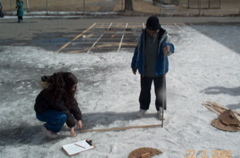 Our measurements of the second day were better since they were done more around 12:30 pm than 1:00 pm. 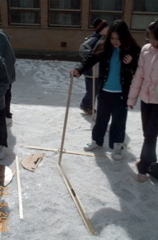 as well as students taking more care in holding the meter stick vertically.